CurrentWare is a global leader of Internet and Endpoint Security solutions. Currentware is committed to delivering products with the immediate benefits of increasing productivity, enhancing security and improving cost savings. 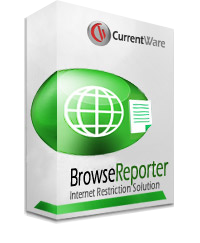 CurrentWare products are intuitive to manage and focus on solving real world computing challenges. With offices in UK, US, Canada, Australia and Asia, Currentware is focused to meet the diverse needs of today’s technology demands globally. Constantly releasing innovative new products and improve existing tools, as Currentware commitment to making the workplace a secure, productive and “greener” environment. AccessPatrol Provides protection against data theft from personal or laptop computers by securing the use of devices such as USBs, CDs and floppys. 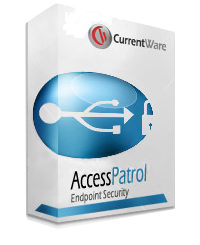 AccessPatrol also manages the shutdown and booting of PCs. This function can also be scheduled to force a shutdown of the PCs at a specific time, e.g. after work hours, or schedule a boot of the PCs at the beginning of a work day. 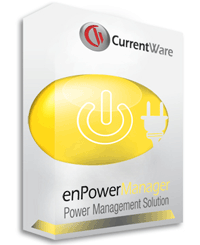 enPowerManager enPowerManager provides an effective method for energy management across an enterprise. With a simple click of the mouse, computers can be remotely shutdown or booted. This function can also be scheduled to force a shutdown of the computers at a specific time or schedule a boot of the computers at the beginning of a work day.